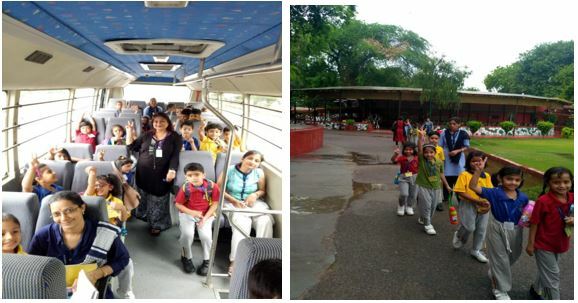 A field trip to Bal Bhavan at Delhi was organized today for the kids of classes Nursery to class II. It was raining there when we reached there, so we took the children for the rounds into the class room. 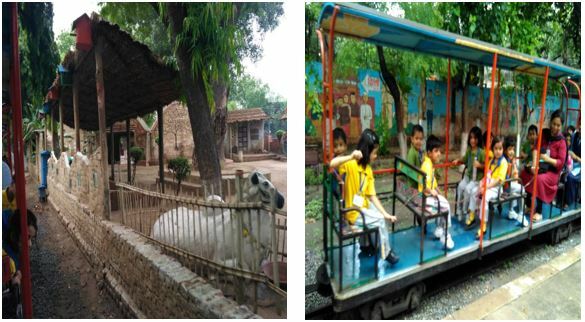 Bal Bhavan offers a free environment to children for expressing their ideas through the wide range of activities like science activities, literary activities, creative arts, photography, integrated activities, performing arts, physical activities, hostel activities, museum techniques and publication related activities. Children thoroughly enjoyed the set up in each classroom / museum that was unique. 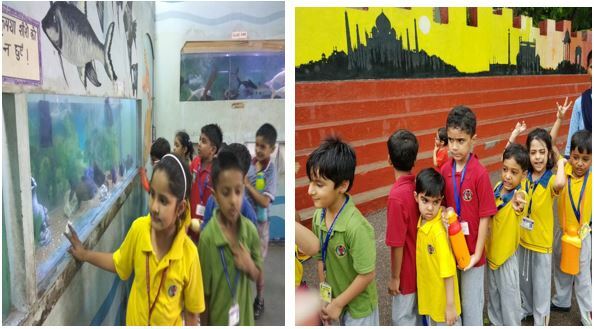 offering non-formal learning opportunities for children.The main attractions of the Museum are the exclusive galleries on ‘surya’, Hamara Bharat’, ‘Gaurav Gatha’ and ‘creative Works of Children’.There were many handicrafts, paintings on the walls and many animal models. The boards and tables were arranged by the craft items made by children. They also had an opportunity to watch a lady practicisg one of the dance forms ‘Bhavai’ of Rajasthan. The main attraction for our kids were funny mirrors, where they spent watching themselves in different size and shape. They were thrilled to observe different types of fish and finally the most exciting part for them was to take a round in the toy train. They truly had a memorable field trip that was both educational and entertaining and the weather was also not very hot.